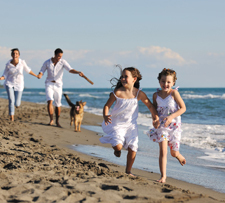 Taking care of our teeth is an activity that is heavily stressed early on in life. Unfortunately, the urgency to brush and floss seems to deteriorate with the progression of adolescence. Without the constant supervision of their parents, teens and older children underestimate the importance of regular tooth care. Crazy nights and busy schedules equal forgetfulness, which often translates into frequent episodes of missed brushing. When you combine this irregular dental care with the fact that teeth wear down over time, the result is a much higher risk for cavities and tooth decay. One of the best ways to decrease this risk is by getting dental insurance. With dental insurance, you are entitled to certain dental benefits such as regular checkups, cleanings, and various other services that promote general dental health. You pay a monthly rate and depending on your plan, you may even be eligible for coverage on more advanced dental treatments such as braces, implants, or oral surgery. 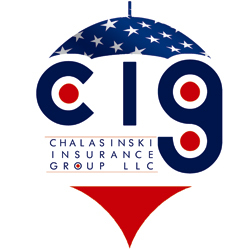 Here at Chalasinski Insurance Group (GIG), we can assist you with the in and outs of dental insurance and help you customize a plan that will fit your your specific dental needs. We strive to be Ohio’s best insurance group, and we believe that we can achieve it through our reputable customer service. For more information, or to enroll in a dental insurance plan, please call CIG President Tom Chalasinski today at 440-838-5383. Do not wait any longer! Our teeth deteriorate with each and every day. Get health insurance today and ensure a greater longevity of that healthy smile.